When it comes to America’s elderly, living in a nursing home is an option and a trend that’s fading quickly. There are now an abundance of new options for those unable to live independently, and for franchises looking to provide solutions in the elderly and home care industry, the rewards are enormous. Successful franchises are taking advantage of this graying of America, as savvy entrepreneurs react to the exploding demographic. Last year, more than 3,700 franchised locations representing 60 different brands were on track to produce approximately $6.3 billion in revenue. And it is projected to grow over the next five years to $7.8 billion. Street.com put out these numbers: The average annual cost of one nursing home resident is $69,715, they say the average annual cost of one assisted-living facility resident is $36,372 and in contrast 20 hours a week of home care services costs about $18,000. These are attractive numbers for those interested in providing quality care for their loved ones and for those not enamored with the idea of placing them in nursing homes. The so-called “silver tsunami” is upon us, and franchisors and entrepreneurs are welcoming it with open arms. 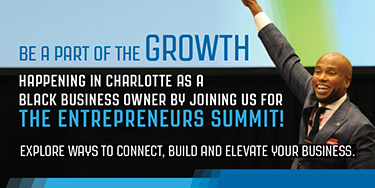 After attending the recently concluded International Franchise Expo at the Jacob Javits Center in New York, Blackenterprise.com is putting the spotlight on franchise opportunities showcased at the expo that may have potential. 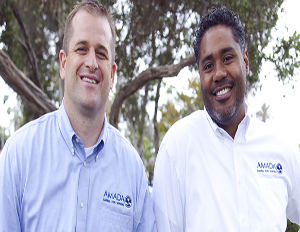 One franchise that showed promise is Amada Senior Care, who are based out of Southern California. Blackenterprise.com spoke with Tafa Jefferson, Chief executive Officer and franchisor with the franchise concept. Jefferson’s mother was a caregiver which is how he first became acquainted with the senior home care industry. He started Amada about eight years ago, but says he started his first company in the elderly care business nearly eighteen years ago. He has been hiring caregivers for more than a decade. “The climate is highly, highly competitive but it is a very fragmented market there is not a true industry leader. You have a lot of franchisors that are in this space, multiple units cropping up all over the country. Taking their name from the Spanish word for beloved or loved, Amada says they are differentiating their brand from the others by “infusing technology into the home environment”. They have been in business as a franchisor just two years, but this is the first year they are opening up territories.